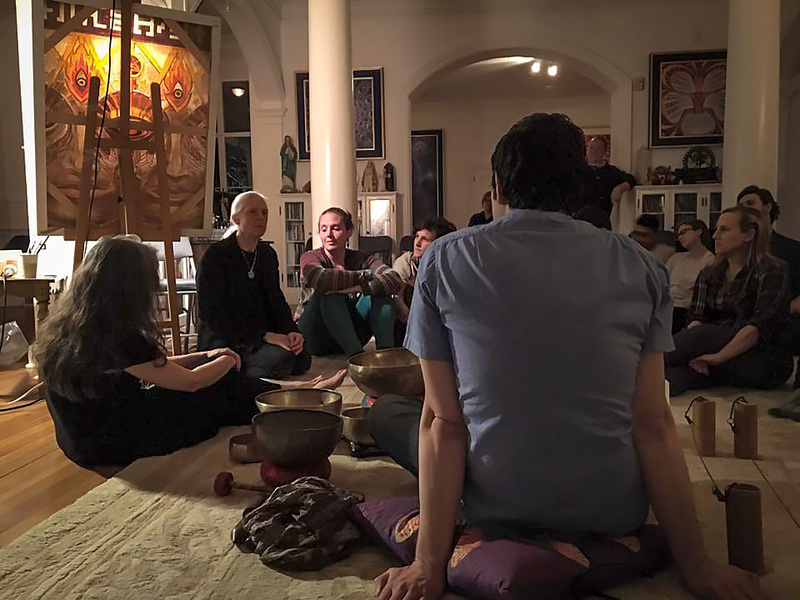 On April 2, I gave a presentation/workshop/performance entitled Sound Somatics: Listening With The Body at COSM (Chapel of Sacred Mirrors) in Wappingers Falls, NY. Hosted by artists Allyson and Alex Grey, it was a fantastic evening of art, sound, deep listening, and rich conversation. 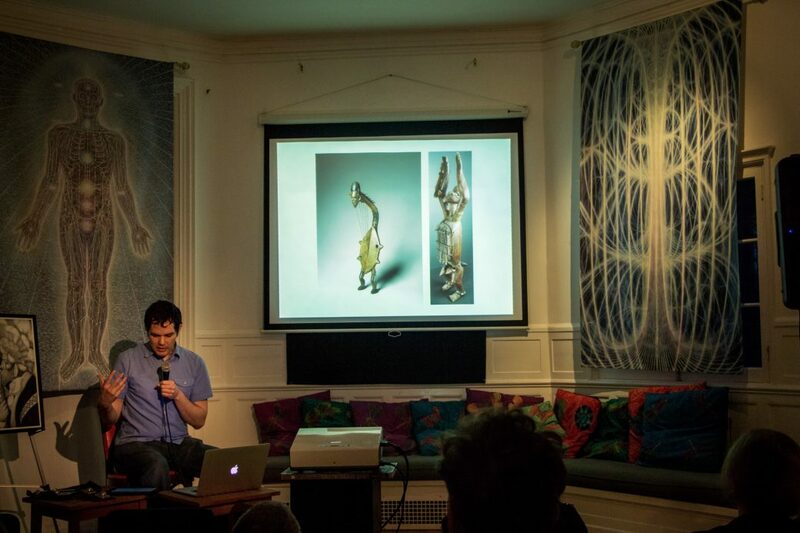 I began with a presentation about the relationship of musicians to their instruments. I discussed my Musical Anatomy drawings with examples of the musicians and instruments represented. 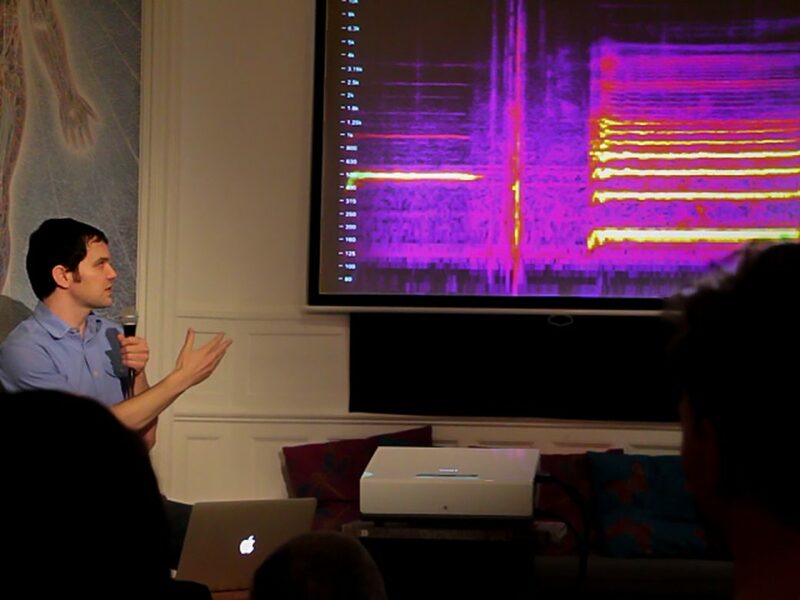 The evening developed with listening exercises and an exploration of vocal overtones using real-time spectrograms. 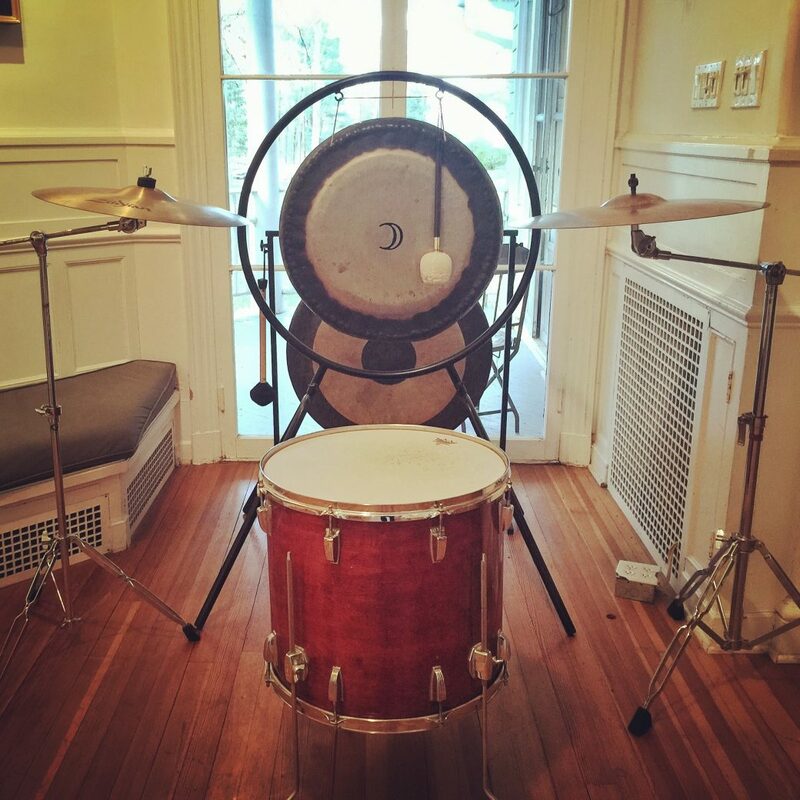 We then played with somatic instruments, including my Somatic Percussion Station and Overtone Crown. 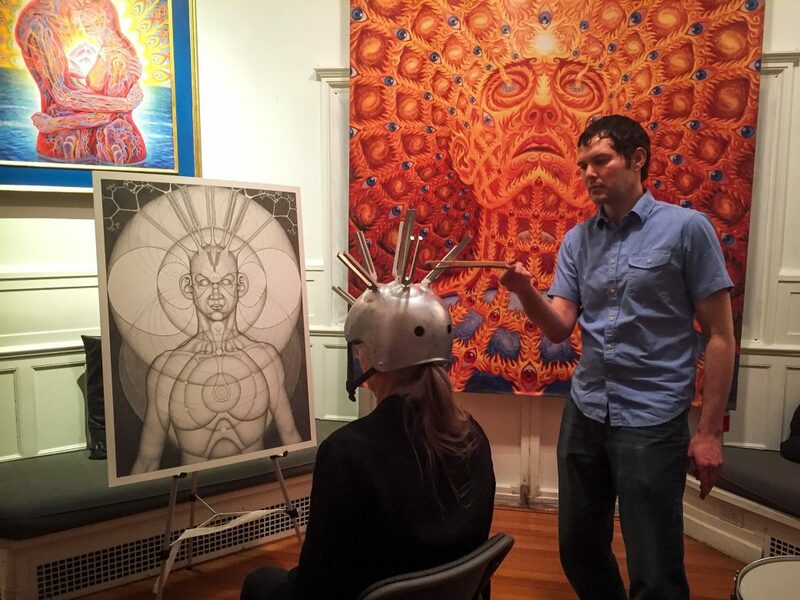 Alex Grey tried the Overtone Crown in front of the Auracle, with a huge reproduction of Alex’s Oversoul in the background. Getting attuned last night with Shawn Feeney. Super awesome night at CoSM! To conclude, I performed a sound bath using Himalayan and quartz bowls, bells, chimes, and vocals. Afterwards the Greys guided a fascinating discussion with us about art and the role of sound in our lives.